The global hotel industry’s leading cloud platform, SiteMinder, today announces it has secured 109 properties belonging to Barcelo Hotels & Resorts, the third largest hotel chain in Spain and the 42nd largest in the world. The win adds nearly 33,000 hotel rooms to SiteMinder’s distribution network one week ahead of FITUR, the world’s tourism trade fair for the Ibero American markets, where SiteMinder will be exhibiting for the third consecutive year. Speaking on the decision to adopt SiteMinder’s technology, Barcelo Hotels & Resorts’ head of e-distribution, Albert Santin, says, ÒSiteMinder has provided the peace we were looking for to complete our distribution strategy. Their expansive partner network gives Barcel direct access to new, important markets, and greater visibility in existing ones, to significantly lower our cost of acquiring guests. And, I know SiteMinder will only continue to grow to provide us even greater direct business with the world’s leading distribution channels. Part of the Barcel Group founded in Spain’s tourism hot spot of Palma, Barcelo Hotels & Resorts comprises 109 establishments with nearly 33,000 rooms across 18 countries. Almost all establishments are 4-star and 5-star vacation resorts and city hotels. 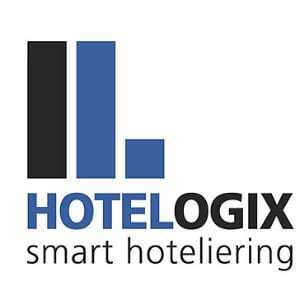 In 2015, the hotel group acquired Occidental Hotels & Resorts to expand its presence throughout Europe, Latin America and Africa under the brands of Occidental, Allegro and Royal Hideaway. The acquisition was followed in 2016 by a franchise agreement with Chinese giant Plateno, which has enabled Barcel to leverage Plateno’s 100 million-member loyalty program and granted Plateno rights to operate under the Barcel brand in the world’s biggest outbound tourism market.